Yan-mami i Fino’ Chamoru. Yan-mami fumino’ Chamoru yan yan-mami fumino’ Chamoru gi fino’ Ingles, gi fino’ Chamoru yan gi fino’ Chinu yan maseha hafa otro na lenguahi. Yan-mami este na lenguahi-ta. The Chamorro language is heavily endangered. In just the past ten years the world lost 10,000 Chamorro speakers who weren’t replaced by new speakers. In the next 10 years we will probably lose 20,000 more. 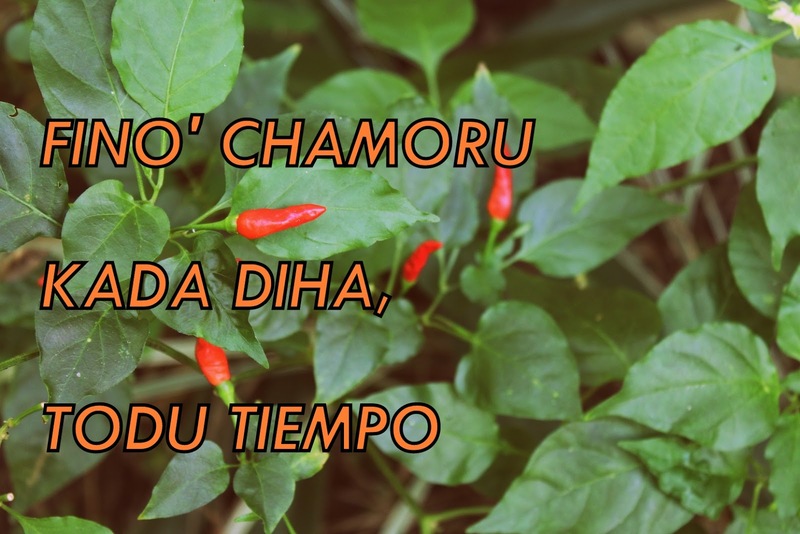 The more we use Chamorro and make it a part of our daily lives, the more we increase the chances of saving the language by revitalizing it and making it commonly used again.